This is a series of articles by KAMLESH D. PATEL about the evolution of consciousness, and how spiritual practices are designed to help consciousness expand and evolve. SPIRITUAL DESTINY HAS EVERYTHING TO DO WITH THE PURIFICATION OF THE SUBTLE BODY BY REMOVING THE LAYERS THAT SURROUND IT. In Part 1 of this series, Kamlesh D. Patel described the three main bodies that together, form the base of life forms on earth. In this second article of the series, he explores one of these in depth; the subtle body, and how it evolves. Above is described the subtle body of a human being, including how it evolves, and the importance of a meditative practice in that process. In this issue, he introduces us to the journey we embark upon to expand consciousness and the role of Yogic Transmission in that journey. Just to recap, it is the subtle body that evolves, and as a result consciousness evolves, allowing us to transform and design our destiny. As we purify and simplify the subtle body, the joy of the soul radiates from within, and we are able to expand our consciousness into higher states, revealing more and more of our human potential. In Part 2, we looked at the process of refinement and purification of the subtle body, so that consciousness can expand and evolve. The purer and simpler our vibrational field, the more we can observe, explore, and expand across the spectrum of subconsciousness, consciousness and superconsciousness. In fact, without this cleaning of the subtle body, there is no real inner journey! As we progress, our ego becomes more and more refined, we develop wisdom and uncover the world of feeling and beyond, all of which are possible through a system of heart-based meditation with cleaning of the subtle body. THE PURER AND SIMPLER OUR VIBRATIONAL FIELD, THE MORE WE CAN OBSERVE, EXPLORE, AND EXPAND ACROSS THE SPECTRUM OF SUBCONSCIOUSNESS, CONSCIOUSNESS AND SUPERCONSCIOUSNESS. There is also a second process that aids our journey into higher and higher states of consciousness. Without it, we would not maneuver past the obstacles, like with any journey into unknown universes. 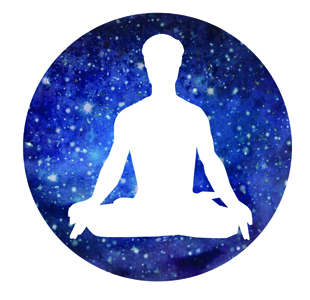 That vital ingredient is Yogic Transmission, known in the yogic literature as pranahuti. More particularly, it is Yogic Transmission utilised by a teacher of caliber. We often think of spiritual teachers – yogis, mystics, saints, sufis and shamans – as being full of wisdom and love. They speak wisely, and inspire us with wonderful words and insights. But words on their own are not catalysts for inner transformation. Wisdom can encourage and inspire us to want to change and evolve, but it does not make the transformation happen. While love is transformative, as we know from worldly life – love can work miracles, conquer all, and make the world go round – the love required for inner evolution of consciousness is a universal love that is beyond anything we normally understand in worldly life. Here the teacher’s role is paramount. The transformative effect of Yogic Transmission has been one of the greatest mystical secrets throughout the ages. What was once passed down only from heart to heart by spiritual teachers of caliber to their immediate disciples, is now openly available to all humanity. And this process requires explanation. THE TRANSFORMATIVE EFFECT OF YOGIC TRANSMISSION HAS BEEN ONE OF THE GREATEST MYSTIC SECRETS THROUGHOUT THE AGES. WHAT WAS ONCE PASSED DOWN ONLY FROM HEART TO HEART BY SPIRITUAL TEACHERS OF CALIBER TO THEIR IMMEDIATE DISCIPLES IS NOW OPENLY AVAILABLE TO ALL HUMANITY. In Part 1 of this series, we spoke about the three bodies of a human being – the physical, mental and causal; body, mind and soul; matter, energy and absolute; the three major states of existence in physics also – energy solidified into matter, energy as vibrational field, and potential energy in its unmanifested state. From this vibrational heart, currents radiate out into worldly life. Some are directed towards the physical world of matter – we need energy to exist and perform actions in the physical plane, e.g. walking, lifting, gardening, dancing, exercising, and so on. Some of the heart’s currents are also directed into the mental sphere of existence: thinking, studying, teaching, research, problem-solving, or engaging in any other way in the field of knowledge and wisdom. IN A PERSON WHO WANTS EVOLUTION OF CONSCIOUSNESS, SOME OF THE HEART’S CURRENT NEEDS TO TURN INWARD, AWAY FROM THE EXTERNAL WORLD. Now, in a person who wants evolution of consciousness, some of the heart’s current needs to turn inward, away from the external world. We can also explain it like this: the stream of thoughts we constantly receive from the universe comes from the cosmic realm, where everything originates, what we call brahmand mandal in yoga. Imagine the stream is descending from above, down through the crown of the head into our system. The thought stream descends into the heart and in most people 99 percent of it goes outwards from the heart, to be used in worldly life. When the inner journey starts, one stream of the heart’s current is diverted inwards. Not all, as we still have to live in the world, look after a family, manage a job etc., but enough so that the pull of the soul is felt. On the left side of the chest, the currents are radiating outwards into worldly life from the point where the physical heart is found. When one stream is turned inwards, it turns towards the right side of the chest, to the point in the human spiritual anatomy known as the atman chakra or soul point. This is the spiritual heart of a human being. The catalyst for this inward movement is a teacher of caliber, who utilizes Yogic Transmission for this purpose. As we then continue to meditate, we are drawn towards the inner universe and start to integrate it with worldly life, so that both continue side by side. But this inward movement can be a difficult transition. It is like moving from one galaxy to another, and as with any change the mind rebels, feeling uncomfortable at first, much like when we move from one house, one city or one job to another. It takes a while to settle in. This is itself the first hurdle in our journey of expansion of consciousness. If we can cross that hurdle, the first step in the battle is won! Now we enter the realm of a different type of human consciousness – that of the immense peace and calm of the soul point. …But this is just the beginning of our journey. In Part 4, we will explore in more detail how our minds keep us entangled in worldly issues that stifle the expansion of consciousness, and how we can address this through spiritual practice. Kamlesh Patel is the world teacher of Heartfulness, and the fourth spiritual Guide in the Sahaj Marg system of Raja Yoga. He oversees Heartfulness centers and ashrams in over 150 countries, and guides the thousands of certified Heartfulness trainers who are permitted to impart Yogic Transmission under his care. Known to many as Daaji, he is also an innovator and researcher, equally at home in the inner world of spirituality and the outer world of science, blending the two into transcendental research on the evolution of consciousness. Building on the insights of his first Guide, Ram Chandra of Shahjahanpur, he is expanding our understanding of the purpose of human existence to a new level, so necessary at this pivotal time in human history.